When a customer has multiple Ship to Addresses, QODBC can only display only one Ship to Address which is set as the "Default" in QuickBooks. If you want to change the Ship to Address displayed in QODBC, you need to change the default Ship to Address in QuickBooks first (as below). 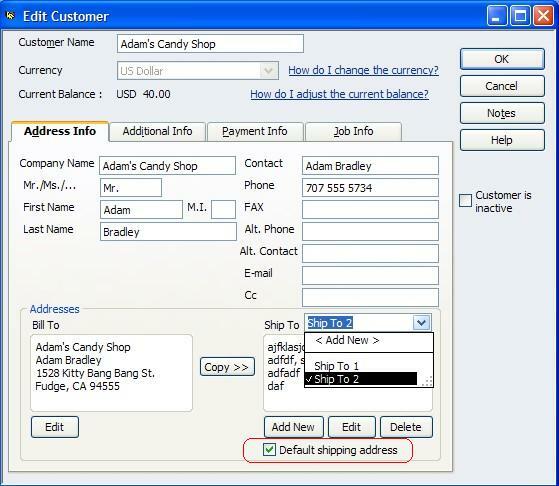 And then you could get it in the ShipToAddress field in Customer table using QODBC.